This Swarovski Element Crystal Heart & Rhodium Plated ring pendant is a definite show stopper. The Pendant is made with a heart shaped charm, encrusted with 51 Swarovski Elements Clear Crystals. This hangs from an adjustable 16-18 inch chain and is set within a heart themed 18K White Gold Plated Ring. 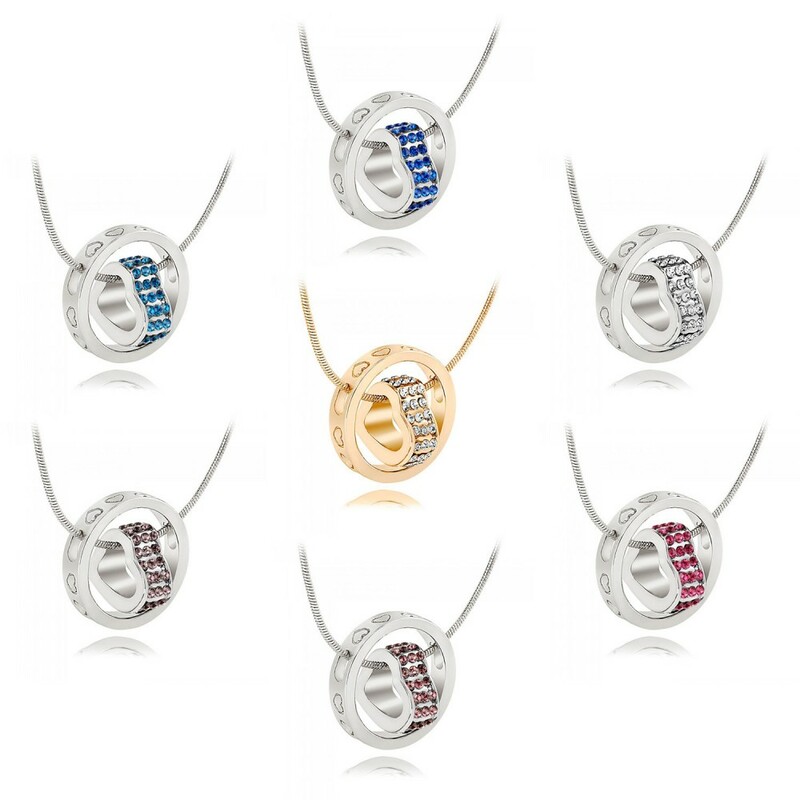 The stunning pendant come presented in its own luxury gift box.